Grew Up… without a whole lot. Sam’s not from riches. He’s seen enough of the world to know what “too good to be true” looks like. Living… in 1930’s San Francisco. Unlike the way most think of San Francisco, this version seems dark and gritty. Competing interests abound and deceit is common. Profession… private investigator. After being asked by a beautiful woman who calls herself “Miss Wonderly” to track down a man named Thursby, Sam starts to realize he might be being used to track down something much more valuable than a vigilante. Interests… he doesn’t seem to have any hobbies as such. He’s really just trying to take care of himself. Sam makes no bones about the fact that he puts himself and his own interests first. Relationship Status… single and not looking for love, it seems. Sam’s certainly had past relationships; he may even have been previously married. But looking out for No. 1 doesn’t always leave room for someone else. Then again, Miss Wonderly – who turns out to really be Brigid O’Shaughnessy – is looking more intriguing all the time. 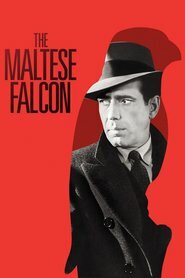 Challenge… finding the truth about the murder of his partner and locating the Maltese Falcon, an object of inestimable value. If he can determine who’s to be trusted and who’s not, he might make it out alive and with something to show for his efforts. Personality… jaded, worldly, and plucky. Sam has a sense of humor, if slightly dark. He’s neither an optimist nor a pessimist, but rather a realist. And he’s not afraid of getting his hands dirty: “I don't mind a reasonable amount of trouble.” He’s a hard man to get close to, but always interesting to watch. Sam Spade's popularity ranking on CharacTour is #2903 out of 5,000+ characters. See our top-ranked characters and read their profiles.